…“selfless service,” work performed without any thought of reward or repayment. In India, seva is one of the ways to propel your spiritual growth while simultaneously contributing to the community. Devapriyaa continues, “Swami Nirmalananda personally picks the seva for each yogi. There’s thus a lot of power and Grace when you receive your seva. “Everyone has different reasons for offering seva. Nearly a decade ago, when Swamiji founded the Ashram, Many yogis took on seva because they wanted to volunteer — to give back, engaging in the practice of karma yoga. Now many more yogis choose to offer seva as an expression of devotion to Swamiji. This devotional piece is bhakti yoga, another whole layer of practice that adds depth and sweetness to your life. Seva is a sure-fire way to deepen your state, and stay in it, no matter your motivation. Sevites include yogis residing in and near Downingtown as well as yogis living at a distance throughout North America and Australia. Recently, local sevites as well as those traveling to Downingtown have supported Swamiji in community outreach programs. These special free events serve the community surrounding us, weaving us into it as well. 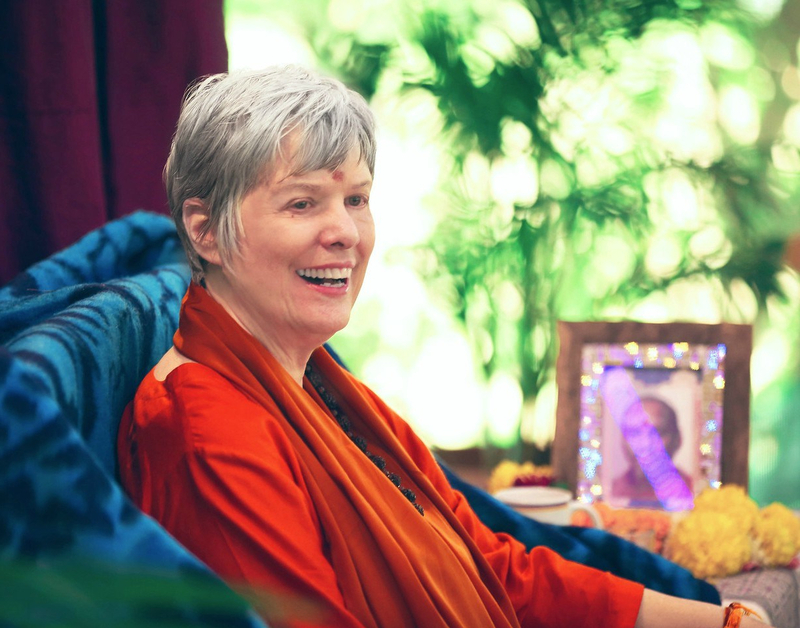 This past fall, Swamiji taught a free Introduction to Meditation for Caregivers, and spearheaded Lokananda’s participation in Halloween Trick or Treat as well as a Christmas Cookie Crawl (for which sevites baked). This was especially festive because our holiday-decorated store front windows took first place in the Downingtown Holiday Decorations contest.” Interested in seva? Devapriyaa shares that there are now 40 different categories of seva. Swamiji is known to be creative if finding the perfect seva for you! If you want Svaroopa® yoga to become even a deeper way of life on your chosen spiritual path, take on seva for our Guru and Ashram. Starting at the beginning of a new year is auspicious. For answers to questions, email Devapriyaa at seva@svaroopayoga.org. Or if you’re ready to apply, click here for the seva survey. There’s something for everybody. This entry was posted in Ashram News on January 15, 2019 by Svaroopa Vidya Ashram.